Liz and Red drop by the Basement for a Black Panther spoiler-free review, and to give away some awesome BP drinking glasses, hand-painted by Liz herself! If that's not reason enough to hit the play button, well how 'bout some great comics like DC/Vertigo's Deathbed, Heavy Metal's Taarna, and Dynamite's 80s horror cult classic, Pumpkinhead, to name just a few!? Yea, that's what we thought. Grab your whiskey and pizza! 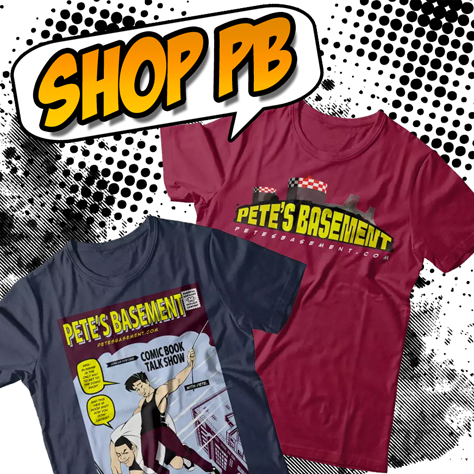 It's time for another great episode of Pete's Basement!